I want to deploy my WebTest project to a Win 2008 R2 Ent. server. I tried to follow the instructions given in help file but no success. Can I get a video tutorial for this task ? 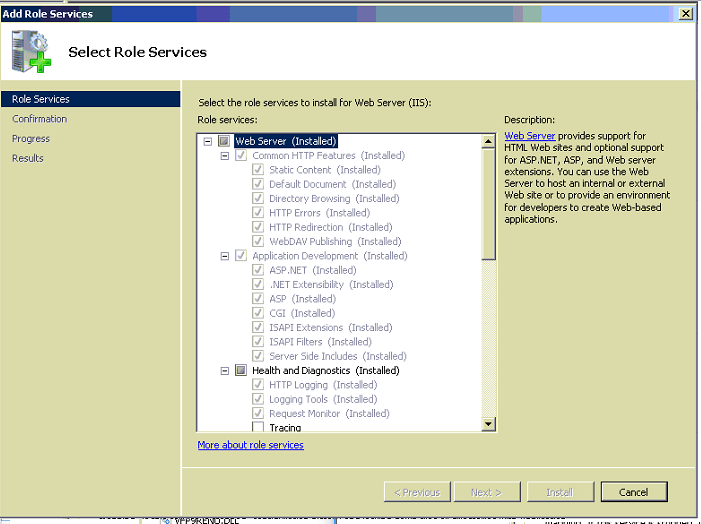 IIS was already configured on the server with required options. I did the following steps during this deployment process. Build my project to make a WebTest.exe. 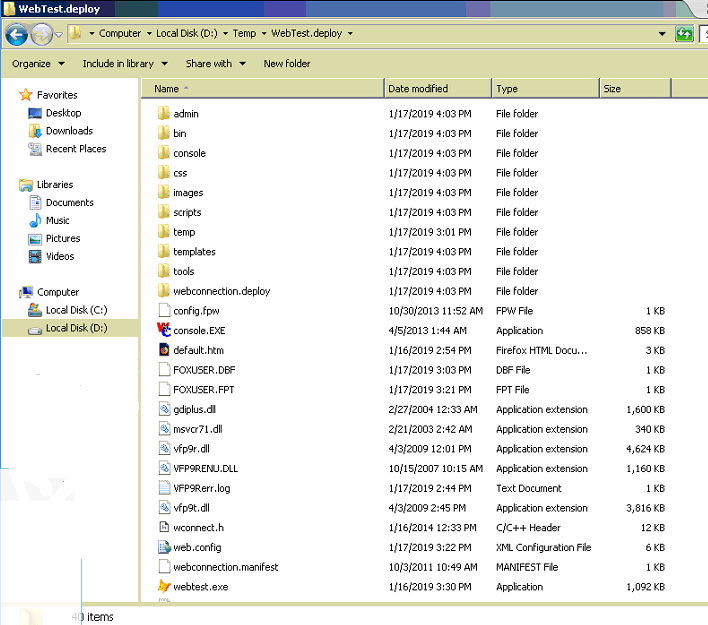 Copy app, vfp runtime files and other required files etc to deploy folder. Run console.exe program to configure the server but it only created a bin folder in server wwwroot/webtest folder. A short step by step server deployment video is needed. Looks like you're not using the standard configuration project layout for new projects, so you can't take advantage of the built-in deploymnet features. 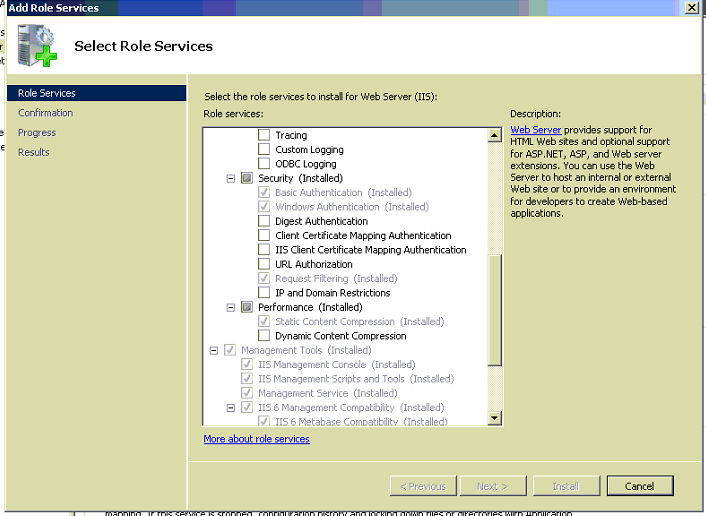 If you use the stock project layout, you can use the generated build and configuration scripts that configure your IIS site automatically (after IIS Installation). 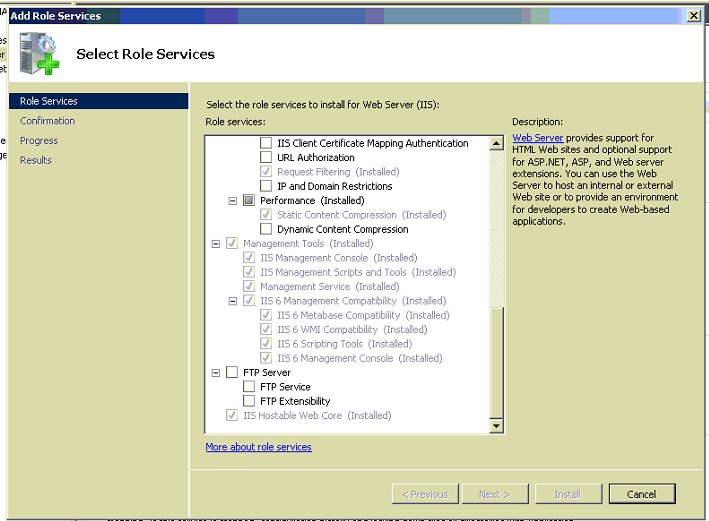 If you didn't (and looks like you didn't) then you have to manually configure your site and following the IIS configuration instructions. I highly recommend if you create a new project you use the new project Wizard and follow the project structure. It'll make everything related to deployment and configuration much easier.